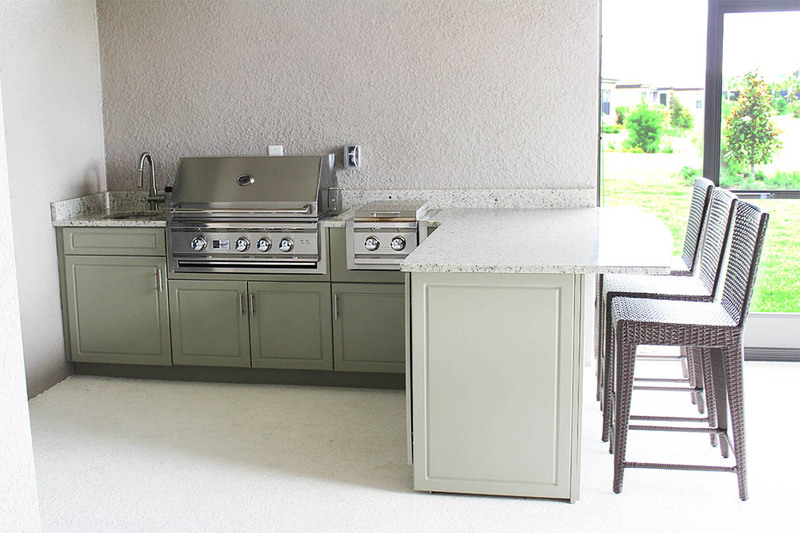 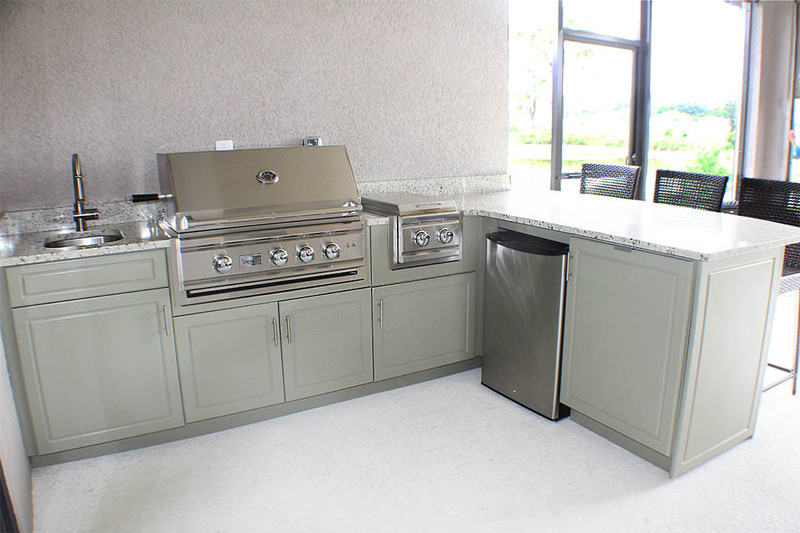 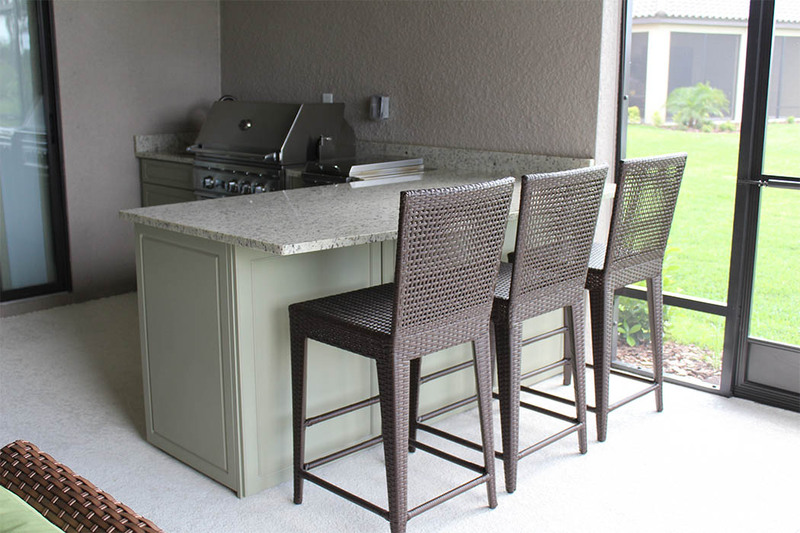 We loved the spash of color in this Outdoor Kitchen. 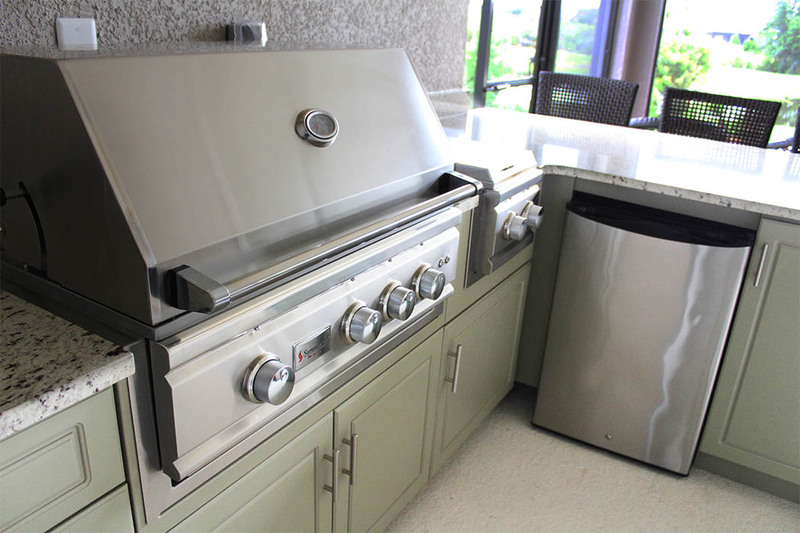 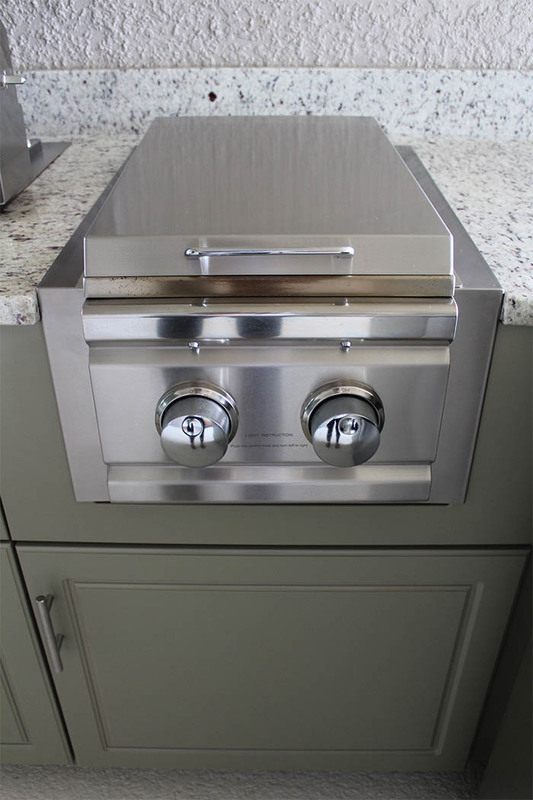 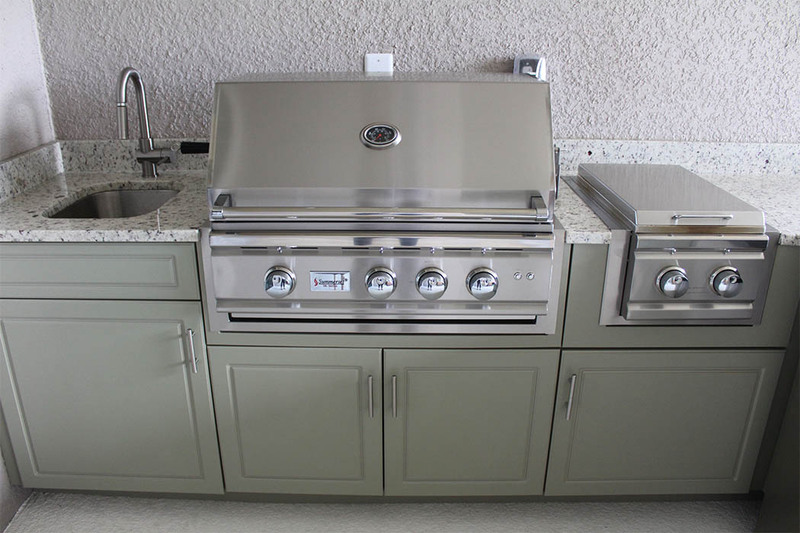 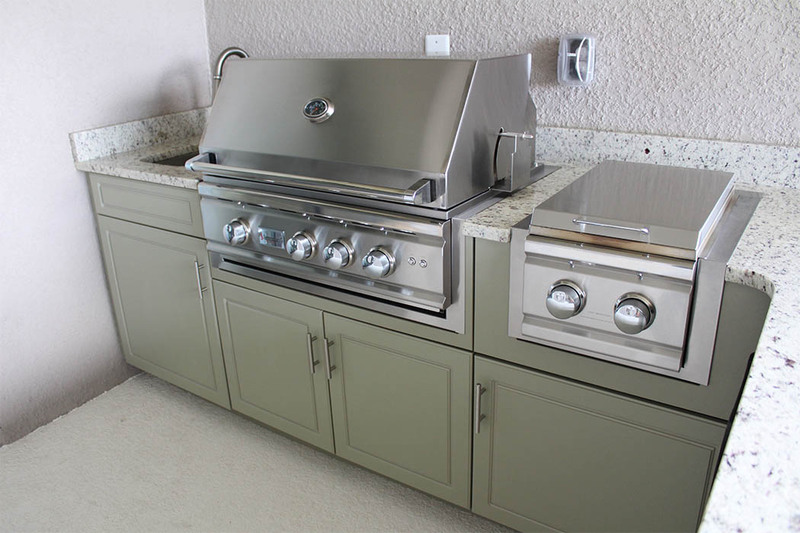 This Island is equipped with the Summerset TRL 32", side burner, sink and refrigerator. 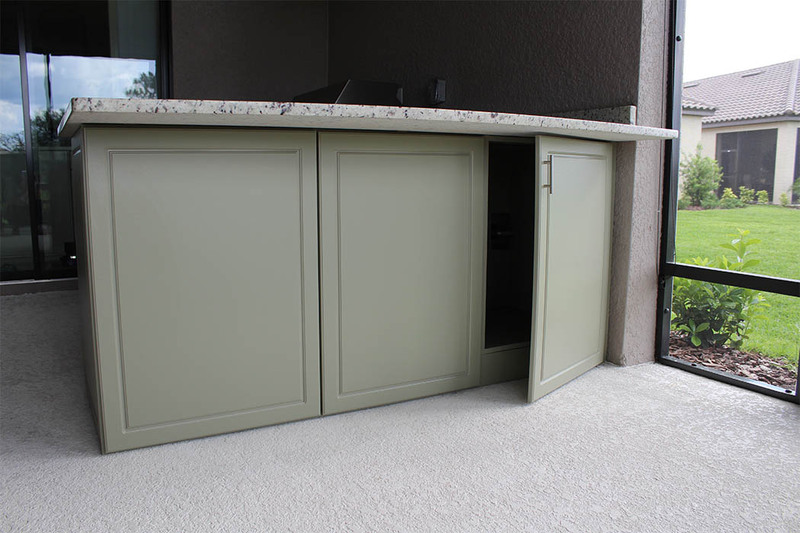 This island also has a unique hidden storage area in the back.